Forget the cost and hassle of finding a financial adviser. Now you can hire a robot. Over the past several years, startup firms such as Betterment, Wealthfront and FutureAdvisor have embraced a simple but potentially revolutionary idea. They're creating websites using the same algorithm-based asset management strategies employed by human financial advisers to provide a wide range of fully automated services at a fraction of the cost. Those websites can help new savers build a smart, diversified portfolio of mutual funds; automatically search for tax savings; and present the holdings of 401(k) plans and individual retirement accounts in easy-to-understand formats. As you might expect, robo-advising was initially dismissed as financial training wheels for investors who weren't ambitious — or successful — enough to warrant "real" expert advice. That was before some of the biggest names in asset management jumped into robo-advising. Charles Schwab rolled out a robo-adviser service in March 2015 called Intelligent Portfolios, which is already managing about $3 billion. Shortly thereafter, Vanguard unveiled its Personal Advisor Services, a robo-adviser/human hybrid aimed primarily at retirees. Fidelity has recently teamed up with Betterment and now encourages its 3,200 independent advisory firms to use the financial tech firm's robo-advising software as a possible asset management tool for clients. According to the Boston-based research firm Aite Group, digital wealth management assets were on track to reach $60 billion by the end of 2015 — up from $16 billion at the end of 2014. While that's an impressive rate of growth, robo-advising remains a relatively small drop in the ocean of more than $36 trillion in total managed assets in the United States. But a recent survey conducted by the management consulting firm A.T. Kearney found that only about 1 of every 5 consumers has even heard about this newly minted technology. 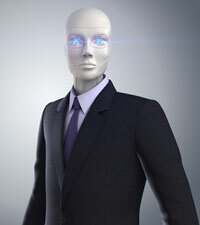 Once they learned about it, nearly half of the 4,000 respondents were at least "somewhat interested" in robo-advisers and about a third said they are "likely or very likely" to use a robo-adviser in the next year. It seems algorithms rule — or will rule. Building enough wealth to support yourself later in life has become a lifelong task that starts the first day of your first job and doesn't end until your final day of work. But it can be surprisingly easy if you make just a few savvy decisions — and avoid just a few stupid mistakes. Secret No. 1 is don't be discouraged. The impetus for shrugging off flesh-and-blood financial advisers comes from a few key factors. First of all, because the process is automated, robo-advising sidesteps much of the overhead that drives up the cost of traditional asset management, making it a more affordable option for those who are just beginning their investment journey. What's more, robo-advising ostensibly removes emotion from the decision-making process, which can often get new (and even some seasoned) investors into trouble. "The real reason that individual investors trail the professionals is because they spend too much on fees and they make behavioral errors, trading emotionally," Adam Nash, the Wealthfront CEO, said in a 2015 interview on CNBC's Closing Bell. "These are the two things we think computers can really help with." Most of these high-tech firms require a smaller initial investment than most traditional financial firms and typically charge annual fees between 0.25% and 0.75% of assets. That's a bargain compared with the 1% price tag of most human advisers. For instance, Wealthfront, which is the largest U.S. robo-adviser, overseeing $2.25 billion in assets, only seeks a minimum account size of $500. What's more, the first $10,000 is managed for free, and investors are charged just 0.25% for everything over that. 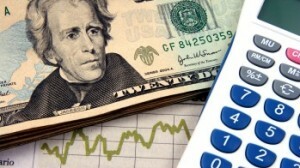 That also solves a long-standing quandary for new investors seeking a little help and guidance. 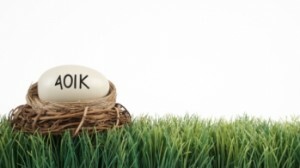 Many advisers turn away clients who don't have a portfolio of at least $500,000 to $1 million. They reserve their services for the wealthy — or at least affluent. For the majority of firms, like Betterment and Wealthfront, the process is rather simple. Investors fill out a questionnaire about their financial goals, and the firm then applies its algorithm to recommend diverse portfolios, often comprising low-cost exchange-traded funds. 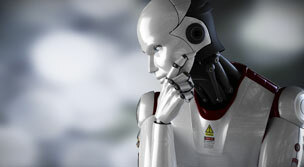 The particulars will vary depending on the individual investor's risk tolerance and the robo-firm's unique bias. Betterment, for example, places its investors in a combination of six stock and seven bond funds. Wealthfront, on the other hand, employs a smaller mix of 10 funds, including real estate and natural resource options that Betterment doesn't offer. For investors who may want to be a little more hands-on, firms like Covestor and Motif Investing allow clients to pick premade, off-the-shelf portfolios. FutureAdvisor and SigFig Wealth Management provide a free analysis of current investments and recommend changes to optimize growth. To be sure, robo-advising isn't for everyone. In fact, industry leaders admit that their target audiences are investors between the ages of 25 and 35 with household incomes between $100,000 and $200,000. Three out of 4 of Betterment's 63,000 clients are younger than 50, according to CNBC. Three out of 5 of Wealthfront’s clients are younger than 35, and 9 of 10 are under 50. "What we're discovering is that not only do [millennials] prefer a low-cost, passive solution, but they really prefer automation," Wealthfront's Nash told CNBC. "They grew up with technology, and they believe that in their lives they want to focus on their careers, on their friends, on their families." Sure, investment advice provided by these robo-firms may tend toward the generic, but traditional financial advice for investors looking to build that first $100,000 isn't rocket science. Diversify, don't jump ship when the markets get erratic and maintain a long-term wealth-building goal. Do we really need to spend 1% of our earnings to have a human being tell us that? What's more, our faith in algorithms has already expanded to all sorts of other important lifestyle management realms. So if we're willing to trust technology to find a spouse, it's time we also have faith that a computer can competently invest our money in the most efficient and responsible way possible.